Medical check-ups are intended for anyone wishing to know the overall condition of their health. Whether the goal is to alleviate concerns about genetic inheritance or to check the onset of symptoms that may be related to certain illnesses, check-ups make it possible to detect specific health problems such as diabetes, hypertension, or cholesterol early on. In several cases, these types of diseases are asymptomatic, therefore one of the only reliable ways to detect them is with a yearly check-up starting in one’s forties. 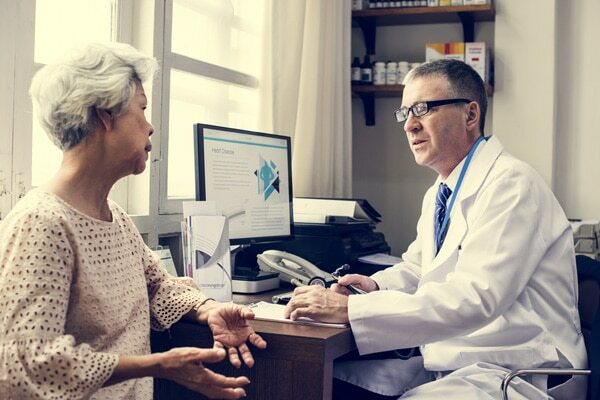 After the age of 50, it is even more advisable to undergo a yearly preventive health check-up, especially if there is no follow-up with a family doctor. It goes without saying that family medical history can guide us in terms of problems more likely to occur in certain individuals. These indicators allow us to refer the patient to more specific tests deemed necessary, including early mammograms, screening for cholesterol or for certain cancers—such as colorectal cancer—which sometimes affects certain families in more specific ways. Your doctor may seek the advice of a specialist in order to confirm or refute certain diagnoses. Following your comprehensive health assessment, our medical team will be able to support the overall management of any condition related to general medicine. Once these tests are performed, the doctor will follow up with the patient to give them the test results and inform them of next steps to preventing any future health problems. In the event the tests do reveal a health concern, the doctor will be responsible for referring you to someone in a timely manner to manage the identified disease or heath problem. As well, many health problems could be detected early on and may be treated in an effort to preventing the patient from developing health complications.